I have taken a long hiatus from posting any news or other items on here (for no particularly good reason) and I thought I might try to do some catching up on news from the lab. In the next several posts I will highlight some recent publications and other events over the last half year or so. 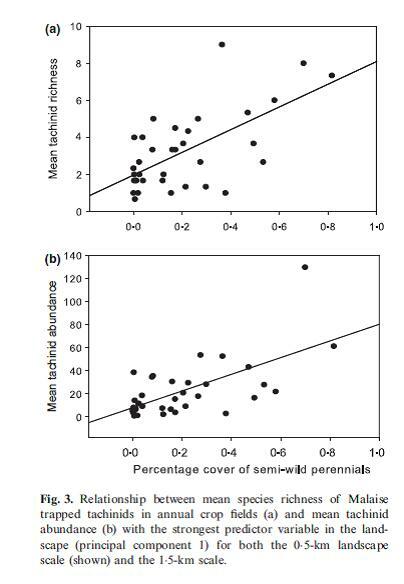 munities in the agricultural fields, but the strongest pattern was an increase in tachinid abundance and diversity with increasing coverage of semi-wild perennial vegetation in the landscape (see graphs below). These results argue for that current trends towards agricultural intensification -plowing fence line to fence line are counterproductive. 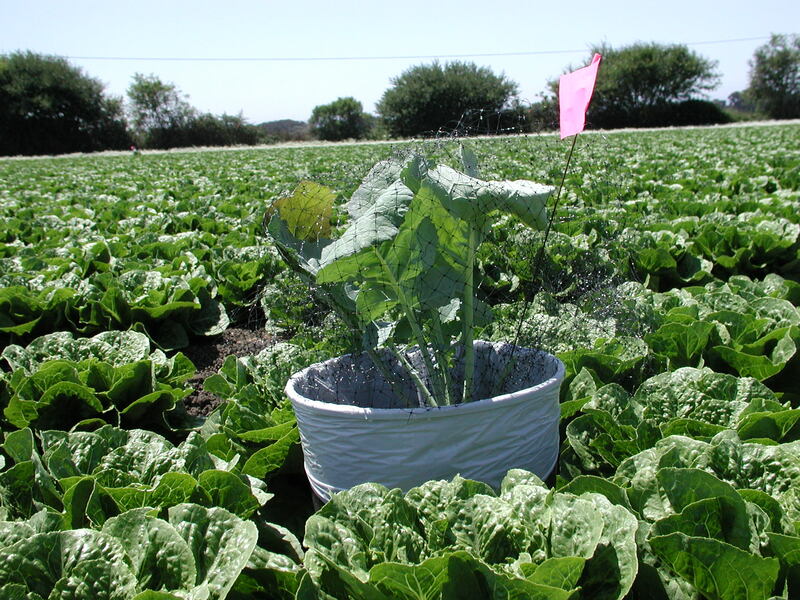 Semi-wild corridors and fragments can act as refugia for parasitoids, which may reduce the need for pest control measures in organic or conventional agriculture. This entry was posted in insects etc., Scientific publications and tagged organic agriculture, parasitoids, Tachinidae. Bookmark the permalink.